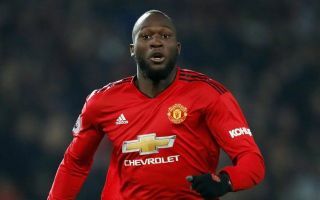 Manchester United striker Romelu Lukaku has made the big claim that Luke Shaw has been the club’s best player this season ahead of some big names. While there’s no doubt Shaw has improved hugely this term and shown remarkable consistency, performing under both Jose Mourinho and Ole Gunnar Solskjaer, the left-back wouldn’t instantly spring to mind as the team’s stand-out performer necessarily. Paul Pogba has been a joy to watch since Solskjaer came in, while Marcus Rashford has also been in the form of his career. Elsewhere, David de Gea has been world class as usual in goal, while Ander Herrera could even be a contender with some superb battling performances in midfield recently. Still, Lukaku singled out Shaw for this special praise as he discussed the big improvements made at Old Trafford since interim manager Solskjaer came in in place of Mourinho. ‘Everybody is talking about us being offensively really good, but defensively we’re doing really well,’ Lukaku told the Daily Mirror. This is a big compliment for the England international, who, after a tough start at Man Utd, now truly looks the real deal for the Red Devils and a future club legend.